Hay Gulch Coal – one of the only suppliers of coal for home-heating purposes in the Four Corners – has been forced to all but close this fall because of a lack of available coal to sell. For years, people who use coal to heat their homes have traveled to rural western La Plata County to buy coal from the King I and now King II coal mines on County Road 120, about 15 miles west of Durango. About 11 years ago, as the mine planned an expansion, the operator – GCC Energy – contracted with Crawford to sell the coal at a site a few miles down the road to eliminate conflicts with mine operations. This summer, however, GCC Energy installed a new piece of equipment that processes a higher efficiency, “cleaner” coal, said Chris Dorenkamp, mine manager. Most of the coal the mine produces goes to its parent company for cement production. While the mine is producing at a rate 10 percent higher than last year, the new piece of equipment operates at a set rate and doesn’t allow for high surges of the “lump coal” preferred by people who heat their homes, he said. “It spins a certain tonnage per hour and doesn’t allow us to do the high demand for lump heating coal,” Dorenkamp said. A delivery of about 90 tons of “lump coal” to Hay Gulch Coal last weekend was sold in three hours. 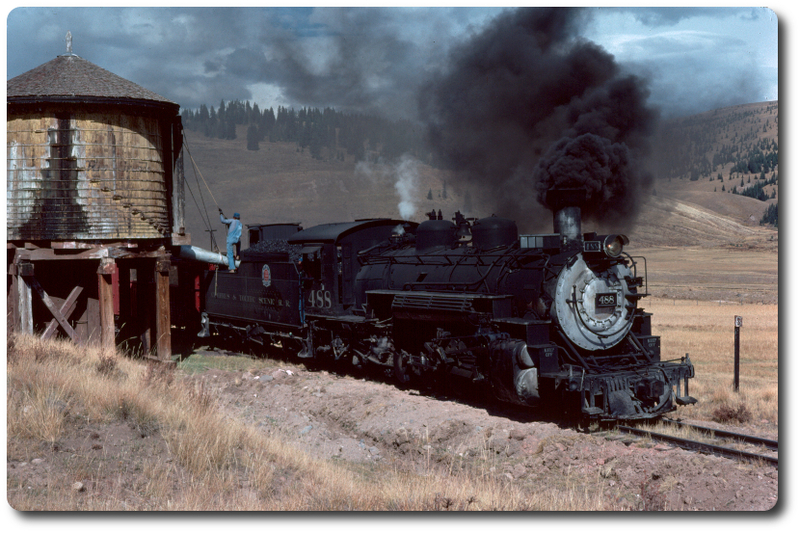 The lump coal that is available has gone to the Durango & Silverton Narrow Gauge Railroad, as well as the Cumbres & Toltec Scenic Railroad in Chama, New Mexico, which prefer to fuel their steam locomotives with the same kind of coal people use in their homes. As a result, deliveries to Hay Gulch Coal have all but ceased. On the rare occasions this fall when the company has received a coal shipment, Crawford said it hasn’t lasted long. There appears to be some light at the end of the tunnel for customers left in the cold with the shortage of available coal. The railroad in Chama recently shut down for the season, and the D&SNG will start its less frequent schedule of winter rides in the next few weeks, which for Hay Gulch Coal means there’ll be more coal to go around. Al Harper, owner of the D&SNG, said the train receives about four deliveries of coal a week over the summer peak season. In the winter, however, shipments drop to about one a week, he said. Harper did not have exact numbers when contacted this week for how much coal the train uses in a year. While the article is written as though the coal shortage is transient, as railroad demand tapers off for the winter, and household demand naturally ramps up in the winter, its not hard to see how both railroads could be affected in the future. Note that the King Coal mine is primarily focused providing coal for its corporate parent's cement making purposes. "GCC Energy’s parent company is Grupo Cementos de Chihuahua, a multimillion dollar international cement manufacturer based in Chihuahua, Mexico. Edited 3 time(s). Last edit at 04/13/2019 06:12PM by Rader Sidetrack.